You’ve determined that now is a good time to sell your alarm company or security alarm accounts, and made the decision to move forward with the sale. You’re excited about the prospect of capitalizing on the opportunity, but you’re not quite sure what the next step towards selling your alarm company should be. Do you seek out a buyer yourself? Advertise that your company is on the market? Contact a lawyer? If you’re ready to move forward with the sale of your alarm company, your next step should be finding an alarm company broker to represent you in the sale of your company. Why use an alarm company broker? There are many benefits to employing an alarm company broker. A good broker will enable you to maximize your profit from the sale by helping you to negotiate effectively, ensure confidentiality during the course of the sale and move the sale along quickly so you have your profits in your pocket as soon as possible. When it comes to selling your alarm company, working with an experienced broker is typically your best option. How do you go about finding a high quality alarm company broker? Once you’ve made the decision to work with an alarm company broker during the sale of your security alarm company or accounts, your next step is finding the alarm company broker that is right for you. This process can take time, but securing a trusted alarm company broker is imperative if you want to maximize your profits during the sale of your alarm company. So how do you go about finding a trusted, reputable alarm company broker? Find alarm company brokers that have relevant experience and reputations for success. Be sure to read reviews from others who have worked with them and investigate thoroughly to ensure they are both knowledgeable and reliable. Once you have found one or more alarm company broker options, contact the brokers to learn more about their services. Before hiring a broker, you want to ensure that the broker is a good fit for you and your organization. There are a number of important questions to ask an alarm company broker that will help you determine which broker suits you best. Once you’ve narrowed your options, compare the alarm company brokers you’re still considering. Make a list of pros and cons and strongly consider which alarm company broker you’ll feel most comfortable working with. You want to move forward with a broker that you can trust, someone who you are confident will keep your best interests in mind throughout the sale of your alarm company. 4. Choose the broker that suits you and your business best. In the end, the alarm company broker you choose to work with when selling your alarm company or accounts should be the one you feel has the most relevant experience and is the most trustworthy and reliable. The broker should have a solid understanding of the alarm industry and be capable of guiding you through the process of selling your alarm company smoothly and efficiently. Choosing an alarm company broker can be a challenging and time consuming process, but finding the right alarm company broker for you can help you to maximize your profits in the sale of your alarm company and navigate the selling process confidently. If you’re looking for a reliable, trustworthy alarm company broker with extensive experience and a reputation for success, contact Acquisition and Funding Services at (800) 354-3863. At AFS, you work directly with company owner Rory Russell. Rory has decades of experience as an alarm company broker, handling approximately $350 million in mergers, acquisitions and financing of security and alarm companies. He also has experience as an alarm company owner, having owned and operated Empire Security prior to founding AFS. Rory can provide you with the insight and negotiation power you need to maximize your profits in the sale of your alarm company. 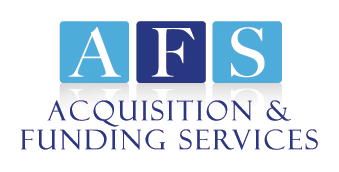 Working with AFS, you can sell your security alarm business and accounts hassle free. You’ll gain valuable insight about selling your alarm company at the right price and the right time and you’ll even receive a free, no obligation business valuation just for contacting AFS. Interested in partnering with AFS to benefit your alarm business? Contact Rory Russell today at (800) 354-3863 (Rory’s personal cell) for a free business valuation and to learn more about how his success as a reputable alarm company broker can help you maximize your profits during the sale of your alarm company.